The Vampire Diaries Quiz- Episode 2.01 "The Return"
Kat Graham Red Carpet interview! Yes, that is "7th Heaven's" Simon Camden hangin' with the hybrid and the ripper. David Gallagher has put his Camden days behind him and will be introduced to "TVD" fans as Ray, a werewolf who Klaus (Joseph Morgan) and Stefan (Paul Wesley) encounter in Tennessee. Ray will be around for two episodes, and he's involved in Klaus's mission to create more hybrids. 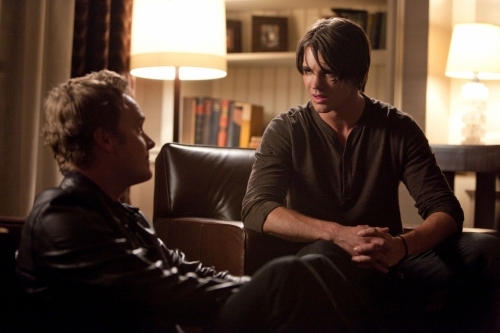 Klaus is looking to build himself a family, but family loyalties may be Ray's downfall. Promo Pictures: Επεισόδιο 3.01 "The Birthday"
Εκτός από τον Roche, οι παραγωγοί έχουν “κλείσει” και τονJack Coleman (Heroes) σαν guest-star. Ο Jack θα υποδύεται τον Bill, ένα πρώην κάτοικο του Mystic Falls, ο οποίος επιστρέφει σπίτι έχοντας πολύ σκληρή στάση απέναντι στους βρυκόλακες. 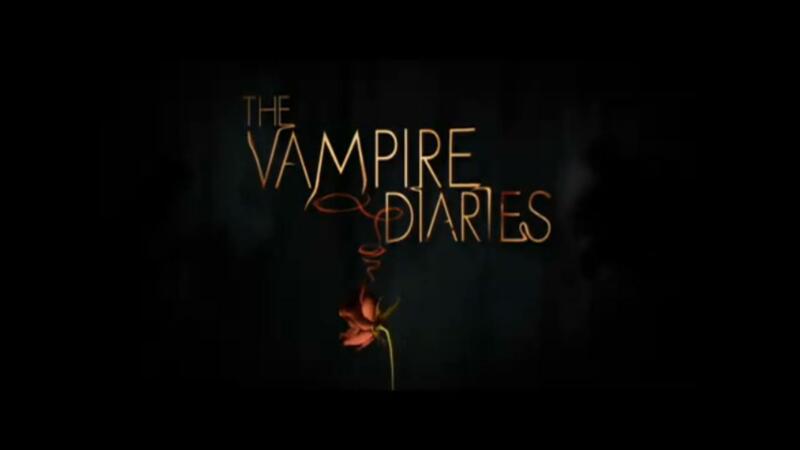 Η τρίτη σεζόν του The Vampire Diaries κάνει πρεμιέρα στις 15 Σεπτεμβρίου. Nεα Promotional Photo για το επεισοδιο 3.01 "The Birthday"
Νεα promotional foto για season 3! Τι θα δώσει ο Ντέϊμον στην Ελένα? 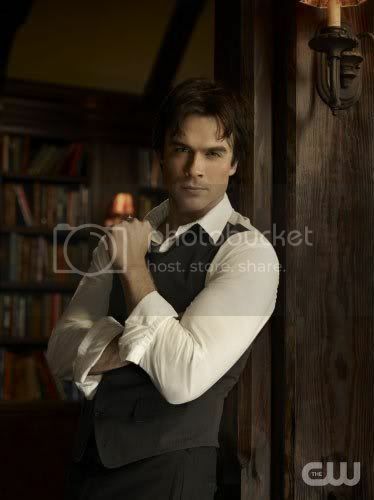 So when Zap2it spoke with Ian Somerhalder on Tuesday, we grilled him on all things Damon and Elena (Nina Dobrev). As we know, Season 3 begins with Elena’s 18th birthday party, an impressive soiree that Caroline plans — of course — at the Salvatore house. We’re sure Elena will get plenty of birthday presents, since she’s clearly the most beloved person in Mystic Falls, ever, but with Stefan missing in action, the gift we’re wondering about the most is Damon’s. The gift will definitely remind us of Stefan’s absence, but we’ll say this about the scene: it’s practically tailor-made to be plastered all over your tumblrs, Damon/Elena fans. Don’t miss the season premiere on Sept. 15 at 8 p.m. EST on The CW, and in the meantime, keep checking in with Zap2it for more from Ian Somerhalder. "Vampire Diaries" fans, if you thought Katherine was ten kinds of trouble, get ready to meet Rebecca -- AKA Bex, a beautiful vampire who had the pleasure of Stefan's company back in the early days when he was feasting on human blood. Fans have been curious about this new development for weeks, and now Zap2it can exclusively confirm that Australian actress Claire Holt has been cast as the former object of Stefan's affection. Holt can currently be seen on ABC Family's "Pretty Little Liars" as Samara, Emily's new girlfriend (though we don't think those two have updated their Facebook statuses quite yet), and is known to Australian audiences for her work as Emma on "H20: Just Add Water." A few of you may recognize her from "Mean Girls 2," in which she played the not-particularly-bright Chastity, one of the Plastics. She caught the eye of "Vampire Diaries" executive producer Kevin Williamson while he was casting for his new series, "The Secret Circle." On "The Vampire Diaries," we'll first meet Bex in flashbacks. She's not going to be just a memory for long, though -- she's never quite moved on from Stefan, and you may be particularly surprised to find out what brings her back into his life. 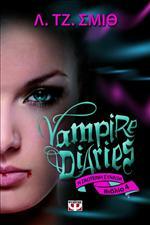 We doubt she'll have any success if she's looking to hook Stefan romantically. As Paul Wesley told us this weekend, "Stefan isn't thinking about other women in the least bit. He's completely in love with Elena and he's doing this whole thing for Elena." Ωστε αυτή θα παίξει την Becky τελικά... Ενδιαφέρουσα φαίνεται. Δηλωσεις της Kat Graham στα Teen Choice Awards! Και ναί! Νικήσαμε 5 βραβεία... Πατήστε στο βίντεο για να δείτε! Αποψε τα Teen Choice Awards 2011! CW 2011 Fall Preview Trailer! Πατήστε τον σύνδεσμο για να δείτε την εικόνα. Δειτε παρακατω ενα απο τα καλυτερα fanmade openings του Vampire Diaries! 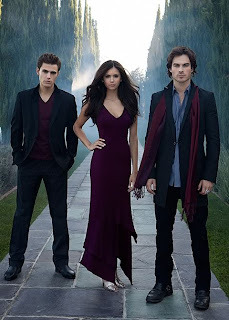 Ερχεται το 4ο βιβλιο του Vampire Diaries! Το 4ο βιβλιο της σειρας με ονομα "Vampire Diaries 4: Η σκοτεινη συναξη" ερχεται αυτο τον Οκτωβριο απο τις εκδοσεις Ψυχωγιός! Εσεις εχετε διαβασει κανενα απο τα βιβλια της σειρας? Πατηστε παρακατω για να δειτε πληροφοριες για το 4ο βιβλιο! 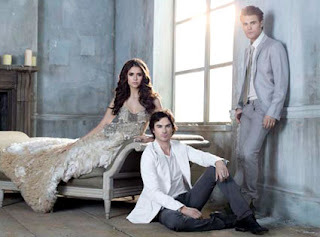 Το clevver tv μιλα για τον 3ο κυκλο του Vampire Diaries!